The magazine staff and editors of Better Homes and Gardens have come with a design solution for the intrepid homeowner wanting to realize his/her dream house. The Better Homes and Gardens Home Designer Suite 8.0 is the latest edition of that effort that started years back and has become popular among American novice designers and even professional architects and home builders. Getting to see your dream house with uncanny 3D realism on your PC has never been as easy with a software application tool that can make just about anyone a home designer. You just need to make sure your desktop or laptop PC is powerful enough to render 3D modeling. Not to worry, the software package comes with the recommended PC configuration you need. Indulge your Imagination The Better Homes and Gardens Home Designer Suite 8.0 gives reign to your innate design skills the better for you to visualize your dream home on the PC. But even people without artistic talent can to it. Automatic Designing Tools. The Suite has 5,000 competent and easy to use building blocks and tools to simplify getting your design looking real. For starters, you design your lot and backyard terrain with the Automatic Build Terrain and Terrain Perimeter tool that can be aided with a GPS terrain elevation data. Add pools and other landscaping details like fences and driveways from its landscaping library. Generate house roofs, ceiling beams, floor patterns, dormers, stairs, framing and house foundation automatically. Design Templates. There are over 1,500 sample house floor plans as well as a Design Inspiration Gallery with photos by house designs categorized by type that can inspire you with your own unique design ideas. 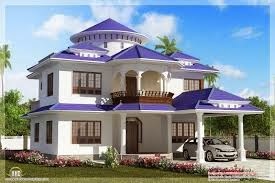 It has a library of home-style templates you can start with or create own customized house designs. There's also the House Wizard that can automatically generate a house design for you based on information you supply. Design Libraries. There are over 6000 design elements like furniture and electric fixtures, windows and doors, wall paper and floor designs and appliance, just to mention some, in its built-in library that you can just drag and drop on your design work area, or you can design your own. There's even a Plant Encyclopedia on the side containing 1,500 popular plant species you can learn about that's suitable in your country as indoor plant ornament in your design. Online Advice. 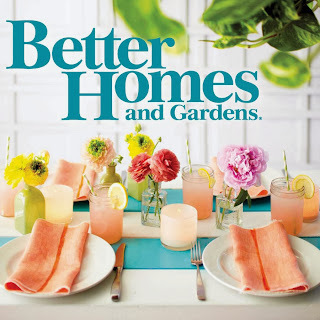 You can get free online design expertise from the Design Planning Center of Better Homes and Gardens as well as download additional design elements from the Home Designer website. 3D Rendering and Virtual Tours. Once you're done with hour house and interior designing, remodeling, landscaping, and floor planning, go into 3D simulation of light and shadows and a virtual walk-through of your dream house. Project Cost Estimating. Once you're happy with the look of your new house complete with interiors and landscaping, the Suite will estimate the cost of making your design happen, generating a spreadsheet where you also get material estimates on how much lumber and concrete is needed which creates the basis for the costing.